With the continued miniaturization of enabling technologies, wearable devices have hit the mass market in a diverse variety of form factors - ranging from smartwatches and fitness trackers to smart glasses to hearables. This research estimates that wearable device shipments will grow at a CAGR of approximately 22% between 2018 and 2021. By the end of 2021, wearable devices will represent a market worth $45 Billion with over 250 Million annual unit shipments. 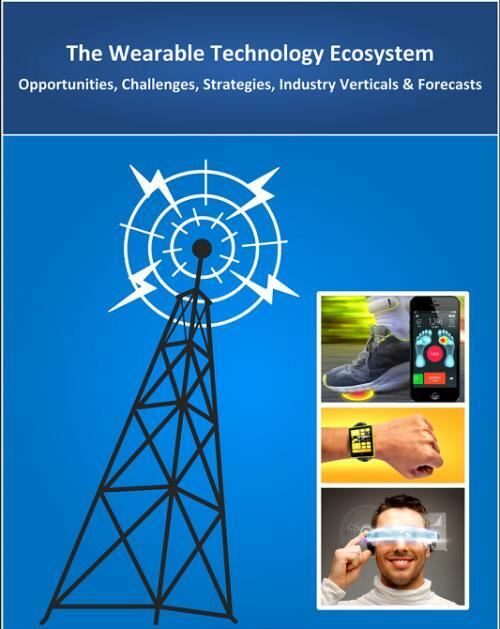 The “Wearable Technology Ecosystem: 2018 - 2030 - Opportunities, Challenges, Strategies, Industry Verticals & Forecasts” report presents an in-depth assessment of the wearable technology ecosystem including market drivers, challenges, enabling technologies, consumer and enterprise applications, key trends, case studies, opportunities, future roadmap, value chain, ecosystem player profiles, vendor market share and strategies. The report also presents forecasts for wearable device shipments and revenue from 2018 through to 2030. The forecasts cover 9 device form factor submarkets, 7 vertical markets, 6 regions and 73 countries. How big is the wearable technology ecosystem? Which vertical markets will see the highest percentage of growth? How do standardization and regulation impact the adoption of wearable technology for the healthcare industry and other sectors? What opportunities exist for cellular chipset suppliers in the wearable technology ecosystem? How can mobile operators capitalize on the growing popularity of smartwatches, fitness bands, smart glasses and other wearable devices? What are the future prospects of hearables and other emerging form factors? Who are the key ecosystem players and what are their strategies? What strategies should wearable technology suppliers and vertical domain specialists adopt to remain competitive? The research estimates that wearable device shipments will grow at a CAGR of approximately 22% between 2018 and 2021. By the end of 2021, wearable devices will represent a market worth $45 Billion with over 250 Million annual unit shipments. In terms of annual wearable device unit shipments, the top 5 vendors – Apple, Xiaomi, Fitbit, Samsung and Garmin – collectively account for more than 55% of the market. Cellular connectivity and associated advanced capabilities - such as VoLTE (Voice over LTE) - are increasingly being integrated into consumer oriented wearables such as smartwatches. The report estimates that wearable devices will help mobile operators drive more than $12 Billion in service revenue by the end of 2021, following a CAGR of approximately 36% between 2018 and 2021. As wearable technology vendors seek to minimize dependence on hardware sales, new business models are continuing to gain popularity - ranging from corporate wellness programs to sports performance analytics. 2.1 What is Wearable Technology? 6.164 Levi Strauss & Co.
7.1 Why is the Market Poised to Grow? 7.3 Vendor Share: Who Leads the Market? 7.5 Wearable Technology Operating Systems: Is there a Dominant Market Leader? 7.6 How is Wearable Technology Affecting the Cellular Chipsets Ecosystem? 7.12 How Big is the Wearable Applications Ecosystem?